Blog Hop Recap and New Blog Hop Coming Soon! 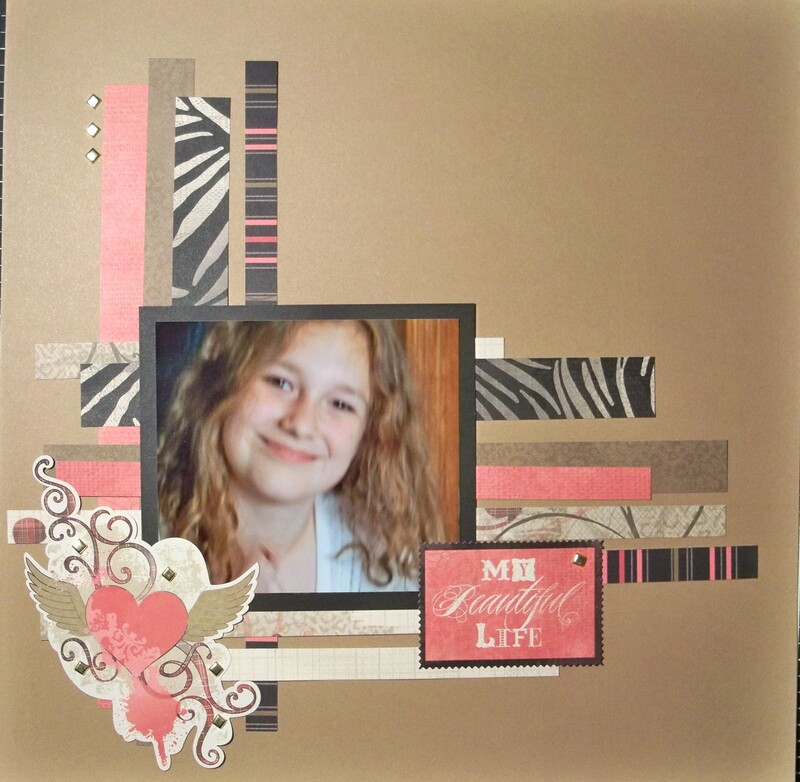 *Coming Soon* Check back this Saturday, January 21st for the 1st CTMH Use Your Stash Blog Hop. This hop is made up of a group of Close to My Heart Consultants who we to use up some of our old stash. We will showcase products that we have in our stash and have never used and are just taking up space. Maybe they are the same things that you have sitting in your stash? Let us inspire you to use them up! Welcome to our Technique Blog Hop! This month there are 12 of us highlighting the Original Argyle Technique as shown on page 91 in the 2011 Autumn/Winter Idea Book! With this technique you use stamps to create original backgrounds with stamps by repeating the same stamp to create a pattern. This blog hop is a circle so you can start wherever you want and continue through to see all the fabulous artwork incorporating this technique. If you are coming from Debi’s Blog, you are on the right track! 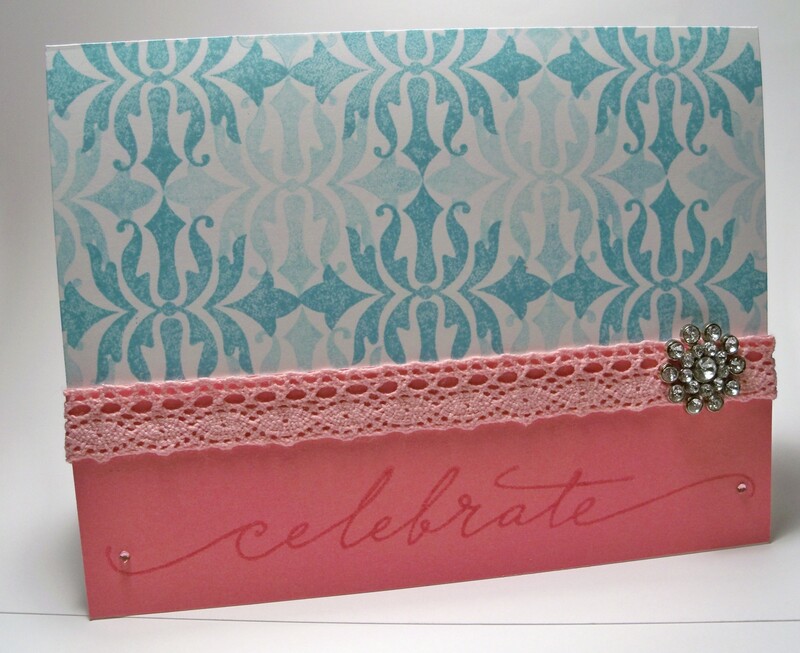 I couldn’t decide on embellishments for this card so I made three different versions. I think I like the pearl one best which was my first instinct. All supplies used are Close to My Heart: White Daisy Cardstock, Crystal Blue & Cotton Candy ink, Designer Ribbon – Pink Collection, Badge Buttons (sneak peek from the new Idea Book coming out in February), Designer Brads – Rhinestone, Sparkles – Red, Pink, & Purple Assortment, Opaques – Pearl, and Card Commentary stamp set. 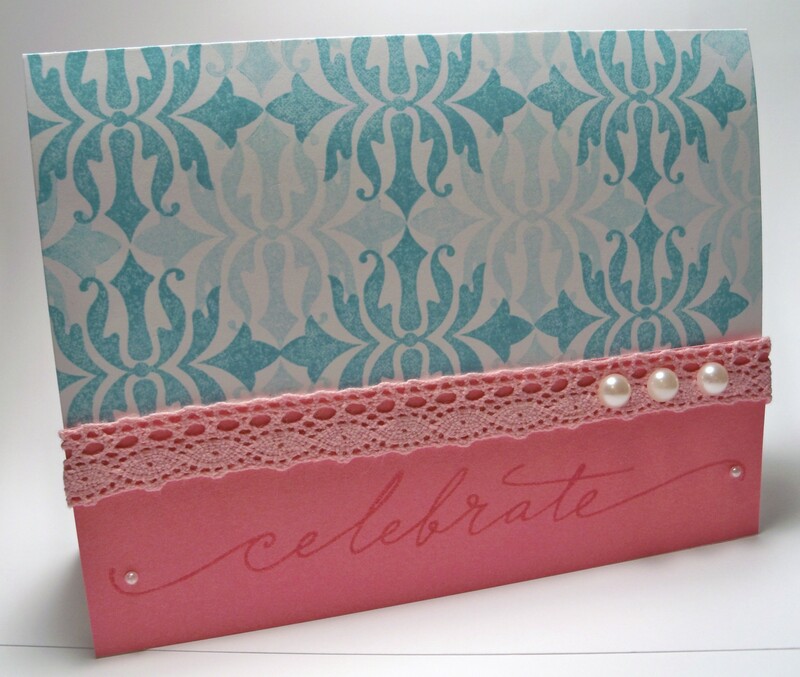 This card also qualifies for this week’s Heart to Heart Challenge to pull out a stamp set that you haven’t used. I really like this word set but just haven’t use it yet. I realized that I am about out of cards so it is time to start making more and getting organized for 2012. 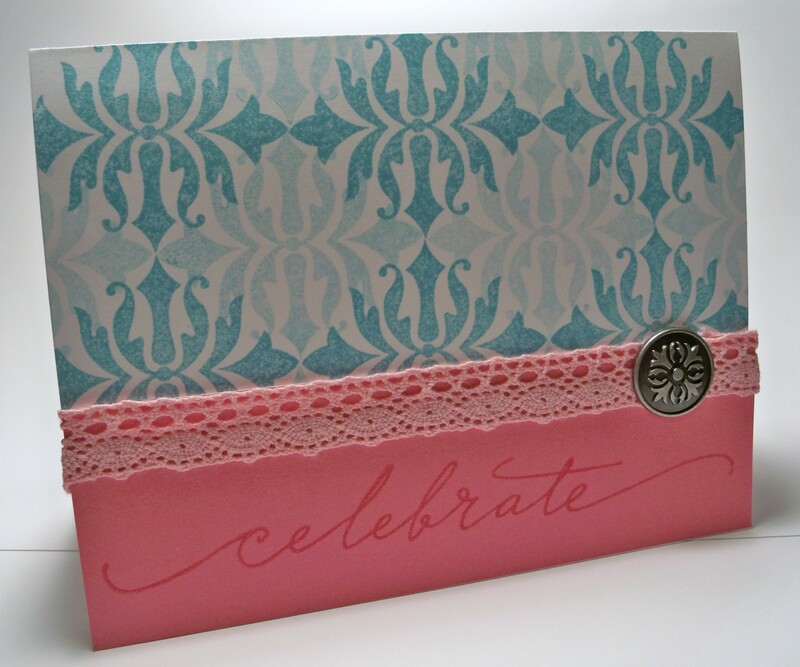 I created my stamped pattern with one stamp using second generation stamping for the lighter shade. After you go through this hop I hope that you will begin to look at your stamps in a new light. This is just one of the many creative techniques that we can use with our stamps. Thanks for stopping by! Please continue on to Sheila’s Blog where you will find some additional artwork highlighting this technique! Be sure to leave a comment and let me know what you thought of my variation and happy hopping! This is a list of participants for the January 2012 Original Argyle Technique Blog Hop. Wendy K.	<---You are here.